Divorced, isolated from his children and homeless, Steve Kenny flipped on the radio in the abandoned car where he slept -- and heard his music playing. The tune, picked by then-MPR jazz show host Leigh Kamen, triggered memories of a once-charmed life as a computer company executive and trumpeter for the Illicit Sextet, a great jazz band. It was 2000, the moment he realized he had lost everything to drugs. "I remember actually living in a burnt-out car -- this sounds crazy -- where the radio still worked," Kenny recalled. "It was a real shocking thing to remember where things had been just a few years before that and how quickly it had turned to complete desolation. I was completely on the sidelines, debilitated." Jazz fans will celebrate the group's return and Kenny's restoration Friday and Saturday at St. Paul's Artists' Quarter. Kenny credits club owner Kenny Horst for suggesting that the musicians restart the band, once a groundbreaking Twin Cities ensemble. For Kenny it's been a hard road back from a time when he and his friends from the University of Wisconsin-River Falls founded the Illicit Sextet, inspired by the so-called young lions, a new generation of talent that was making a big national splash. The movement had its detractors, particularly old-school musicians and fans who thought some of the young stars were to trying to recreate the past instead of pushing the music forward. But brothers Wynton and Branford Marsalis proved that musicians could make commercially viable recordings -- and improvise -- inspiring musicians around the country. In the Twin Cities, the Illicit Sextet aimed for a vibe similar to those of classic ensembles from the pre-electric days of the 1960s, when trumpeter Miles Davis and pianist Herbie Hancock were making refinements in the post-bebop era. Within a few years, the stirring ensemble built a strong following on original compositions that drew heavily on horns, rhythm and flowing guitar lines. "We had that same spirit, but we added the jazz guitar," said trumpeter Kenny. "We also added an influx of what happened to 20th century music on the classical side -- and we were really inspired by experimental music." In 1993, after a long string of gigs at O'Gara's in St Paul and a great debut recording called "Chapter One," Kenny said the group seemed poised for something big. "We sold tons of records," he said. "We were very inspired by that and we were in the process of recording the follow-up disc, the sophomore effort ... We were ready to go national." The times were particularly heady for Kenny, who was running fast on ego -- and headed for a disastrous love affair with crack cocaine. His addiction spun his life out of control, sending him on repeating cycles of abuse and attempts at recovery that would last more than a decade. Hearing his music in an abandoned car in 2000 didn't compel him to put his life in order. By 2007, Kenny was a member of a street gang and selling drugs. He stopped only when a Dakota County drug task force infiltrated the gang and arrested him for trying to sell to an undercover agent. Thanks to his family, he avoided a four-year sentence. But he did spend months in jail. "That's where I finally was able to recover, after all the expensive rehabs," That didn't do it for me," he said. "But finally, you know, a hundred or so or more days in jail was enough to really make things click. And I've been sober then from that point on. So it's been almost six years." The day Kenny emerged from jail in 2008, a friend handed him a trumpet. It was a lifeline. He worked for a year to regain his chops before contacting the members of the band. They forgave him, and welcomed him back. That pushed Kenny to try to recover what they had lost -- including a chance to finish the recording they were working on when he self-destructed. The band's new CD is called "Chapter Eleven," a nod to hard times, but also a metaphor for a way out. "I knew that I was heading towards this," he said. "I had to get this second CD out. It sounds kind of crazy, but we were in the process of recording what became Chapter 11 when my life fell apart. So it's really been I guess a bucket list, for lack of a better term, to get this CD produced and recorded. And the end result exceeded my expectations. It holds together artistically. It sounds better than anything I could have imagined." Friday and Saturday, jazz fans will celebrate the ensemble's return and Kenny's restoration. 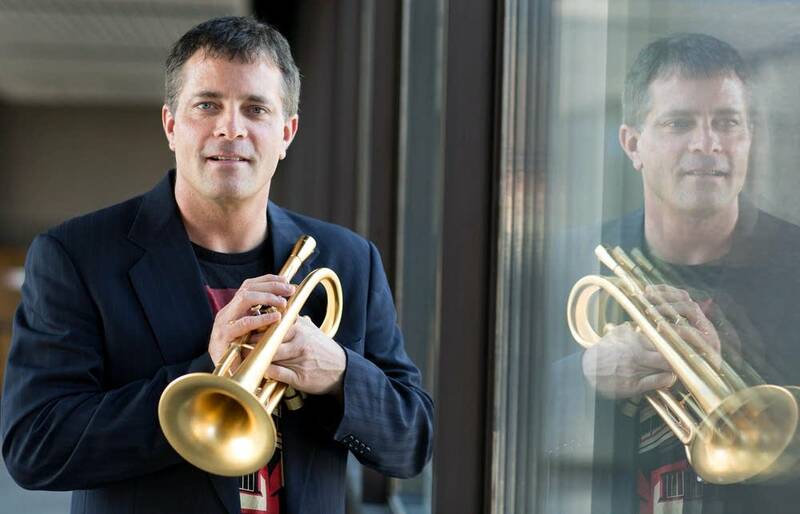 Joining the trumpeter on stage will be guitarist David Roos; pianist Chris Lomheim; bassist Tom Pieper; drummer Nathan Norman and saxophonist Paul Harper, who replaced original member Kelly Bucheger years ago. After living a lot of blues, Kenny feels restored, and the Illicit Sextet is soaring again with 14 new tunes of varying moods and tempos that seem natural extensions of the ones on its first recording. There is plenty of soaring music for straight-ahead jazz fans to like, including nods to bebop, a ballad or two and blues. But the band's music is unquestionably new. "I'm pushing 50. But I feel like the 15 years I was lost, don't count. So I'm still in my 30s in my mind and artistically," Kenny said. "To be sitting here now, five, six years after the fact, back on the scene playing some of the better trumpet of my life and with an intact ensemble that's motivated and released a product like this is really miraculous. It's hard to imagine actually, that it happened." David Cazares was a web editor for MPR News who also covered jazz and Latin music.